We now offer HDlive baby scans at both of our ultrasound clinics, so whether you visit us in Cardiff or in Bristol, you can be sure that your 3D/4D scan will yield exceptionally high-quality imagery! To give you an idea of just how magical the HDlive experience can be, we thought we'd share a few of the comments that we've received from expectant parents who have tried it for themselves. All of the quotes below are from real people who really attended a 3D/4D scan at a First Encounters clinic and reviewed the experience online, either on our Facebook page or here on our website. 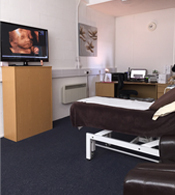 Joannah, a lady who recently visited our Cardiff clinic, describes her 4D scan as "an amazing, magical experience", complimenting the welcome she received from our staff before adding that "to see our little baby girl's face was an experience beyond words". "Seeing my granddaughter was an emotional and wonderful experience," says Svonne, a grandmother-to-be who recently attended a scan at our Bristol clinic. Her review goes on to praise the crispness and clarity afforded by our HDlive scanning technology: "The detailing was just so wonderful - I've come away knowing more about what she looks like, and even more excited to meet her!" As Emily - another of our Bristol customers - recently found out, some unborn babies demand a little patience before striking the perfect pose for our sonographer. However, we're all about perseverance here at First Encounters, and we always do our best to get a good shot...even when the star of the show is feeling camera-shy! "Our baby was being cheeky and hiding its face," says Emily in her review, "but the staff were very patient and got some great pictures." 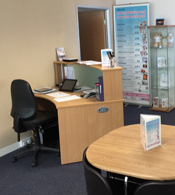 A woman named Gail left the following review on our Facebook page after accompanying a pregnant friend of hers to an appointment at our Cardiff branch: "I went with my friend to her scan and it was amazing - we could see everything very clearly. Would definitely recommend to anyone thinking of having a 4D scan, plus the Heartbeat Bears are amazing!" Huge thanks to all the customers who take the time to review their First Encounters experience online - you can view loads more customer comments on our Reviews page. Alternatively, if these testimonials have you itching to see your own child in crisp HDlive footage, please click here to browse our available scan packages.